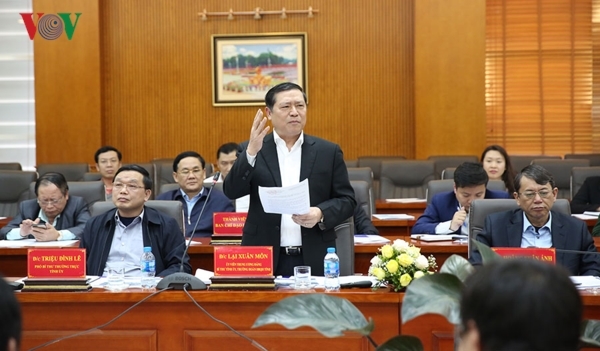 HÀ NỘI — The Cao Bằng Province People’s Committee has submitted a project to build the Đồng Đăng-Trà Linh Highway to Prime Minister Nguyễn Xuân Phúc for approval. The Đồng Đăng-Trà Lĩnh Highway will have a total length of 115km, of which about 50km is in the northern mountainous province of Lạng Sơn and about 65km is in Cao Bằng Province. Total investment will be nearly VNĐ21 trillion (US$905 million). The highway will be built in the form of public-private partnership. The highway will start at the Tân Thanh Border Gate in Văn Lãng District, Lạng Sơn Province, and end at the Trà Lĩnh Border Gate in Cao Bằng Province. When completed, the highway will be the main route to transfer goods between the two provinces and the Lạch Huyện International Port in the northern city of Hải Phòng.